PlumpyField® is a network of independent producers who manufacture ready-to-use nutritional solutions right in the countries where they are most needed. These products are used in the treatment and prevention of malnutrition, and comply with the highest international quality standards. To facilitate access and availability of products with a high nutritional value for populations at risk of malnutrition is one of the major commitments made by Nutriset and set out in its mandate. It is for this reason that, in 2005, Nutriset began creating and developing a network of local manufacturers located as close as possible to users. This network is evidence for Nutriset that entrepreneurs in countries affected by malnutrition are to develop quality products to answer national and regional needs. The introduction of the local manufacture of Plumpy® et Enov® range products improves the response time to nutritional emergencies, makes it easier to tackle chronic malnutrition outside emergency periods, boosts local economies such as raw material production sectors and fosters the incorporation of ready-to-use nutritional supplements in national nutrition strategies. 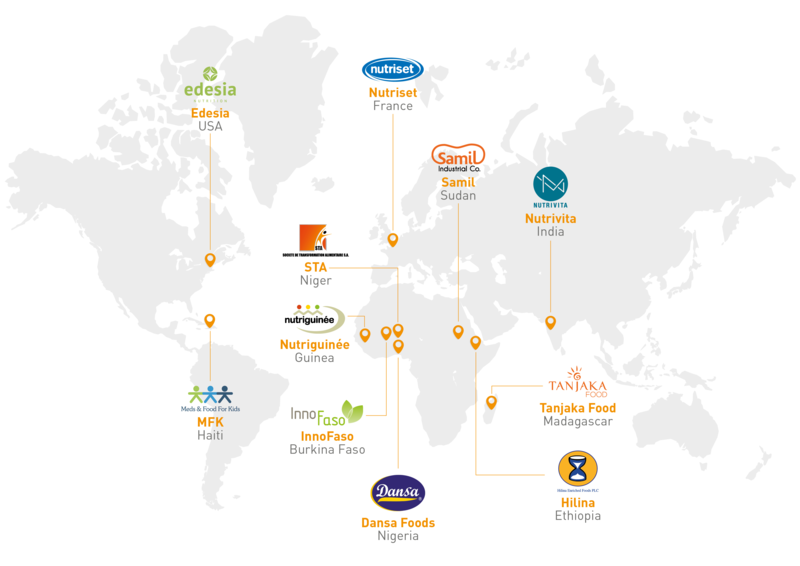 Supported by Nutriset Group, a number of partners in the PlumpyField® network are involved in projects to set up innovative distribution systems for products aimed at the prevention of malnutrition. The partners produce Ready-to-Use Foods for the treatment or prevention of malnutrition, engage in research and development, and strive toward nutritional autonomy within all communities. The members of the network share the same vision, and the same ethical approach, enabling them to work within a strategic framework favoring the development and production of innovative nutritional solutions adapted to the needs of the countries of the developing world.